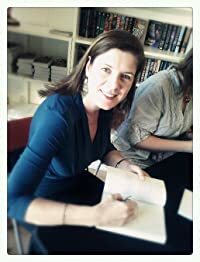 by Michelle Diener regarding her new book! Mistress of the Wind is based on the fairy tale East of the Sun, West of the Moon. It's a fairy tale I've loved since I was a child, but it wasn't until I started seriously researching the origins and mythology of East of the Sun, West of the Moon in preparation for writing Mistress of the Wind that I discovered what a unique fairy tale it is in many respects. Fairy tales are generally grouped into types by folklorists using the Aarne-Thompson classification system, and East of the Sun, West of the Moon is classified as AT-425A, in the 'husband' group of tales, which also includes Beauty and the Beast and Psyche and Eros. What is unique about East of the Sun, West of the Moon, is that when the heroine goes in search of her lover, the people who help her along the way do not do so because of any action on her part. Usually in a fairy tale--in fact, almost across the board--an elderly, mysterious figure or animal will aid the hero or heroine because of an act of kindness they have shown, or because of a favor the hero / heroine has done first. I approached the story with the question: why would this be so? Because I was writing a full-length novel off of what is, in my fairy tale collection, only 8 pages of text, I obviously had to make the story make sense. Quite often in fairy tales coincidences, strange happenings and the relationships between characters are never explained, but it is assumed the reader will accept them, even though there is no reason behind them. That obviously wouldn't work in a full-length novel. So I decided to explore all mythology relating to the wind, and came across the myth of the Wind Hag, and I just knew I had found the core of my story. If you are surprised at the use of the Wind Hag as a powerful heroine, let me explain why the crone or hag is a powerful, rather than a pitiable or evil character. And she doesn't have to be old and ugly, either. The book Women Who Run with the Wolves by Dr Clarissa Pinkola Estes first introduced me to the idea of the hag as a force of power and self-determination. Estes looked at a number of fairy tales and myths across many cultures, at a time when the power of the feminine had a strong place in society. As the patriarchal Christian religion encroached on society across Europe, women who understood herbology, kept the (pagan) myths and legends alive and who were respected and whose opinions mattered within the social structure, were a direct threat to the new religion. It was most certainly in the interests of the Church to demonize and undermine these women and what they stood for, and it is no coincidence that the stereotype of a witch is an old hag or crone. They certainly caught the brunt of the Inquisition's witch hunts, and again, that was no coincidence. It felt right to weave the myth of the Wind Hag through East of the Sun, West of the Moon, even though it isn't in the original. It fit in some way that was really satisfying, and it felt empowering. The Jungian psychologist, Marie-Louise Von Franz, made a life's study out of fairy tales and how they relate to ego and our sense of self. I am in awe of her work. One of the points she makes about fairy tales is how they are reflections of our relationship with ourselves, and I found that true over and over again as I wrote Mistress of the Wind. I wrote Mistress of the Wind continually awed and amazed by the depth and richness of the original tale, and so, while I've woven new things into the story, like the Wind Hag, Norse mythology and some of my own imagination, I also tried to remain faithful to the original tale. I wanted to respect the original, and honor it. And it was certainly a privilege to write it. I just hope I did it justice. 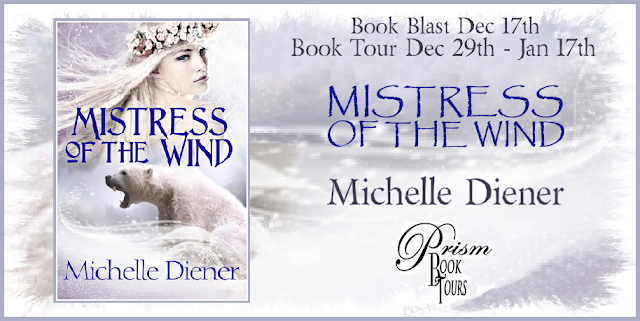 5 copies of Mistress of the Wind, ebook or print, winner's choice. Hmmm... favorite fairytale is so hard, so I guess I'll go with retelling. My favorite is probably Ella Enchanted by Gail Carson Levine. It was one of the first books I ever truly fell in love with, all the way back in the 4th grade. It looks really good.Snow White is a favorite.Thanks for the chance to win. Peter Pan is my favorite. I'm amazed at how creative & brave authors are, in taking the task of retelling existing stories/classics!! !